The House that Jack Built is a book with two strands. The main rhythmic text, based on the well-known rhyme, tells the story of Jack Bull, who travels to New Zealand from London as a new settler in 1798. The detailed contemporary illustrations ...tell the story from a Maori perspective - beginning with the myth of creation: Papatuanuku the earth mother, Ranginui the sky father and their children as guardians of the land. As the story goes on and Jack's house grows, Papatuanuku is shown in the illustrations to weaken and fade. 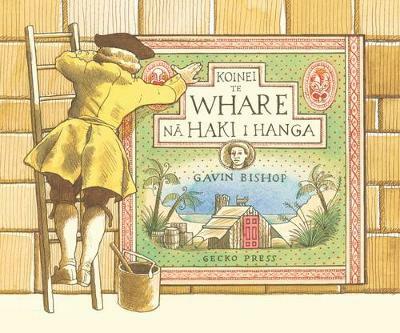 Gavin Bishop has written and illustrated several award-winning children's books. He has won the LIANZA Russell Clark Award for Illustration four times. Gavin lives in Christchurch, New Zealand.